2008 Lionel Green Mikado Miniature Loco, Tender, and Tank Car Set. (QXM8144) - $20.00 : Olson Hobbies, Welcome To The Train Page! Mint Condition 2008, Lionel Miniature Train set. 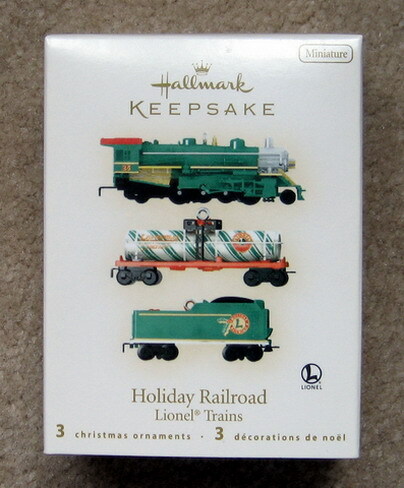 Set contains the Holiday Green Mikado Locomotive with matching tender and Candy Cane Single Dome Tank Car. (3 Piece total) Stock number QXM8144.